The duo spill secrets about what Arnold Schwarzenegger was like in the Board Room. 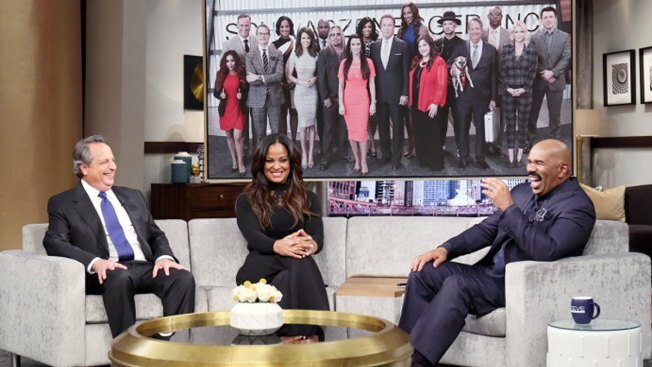 Tune-in to Steve Harvey Wednesday, Jan. 4 as Harvey welcomes Laila Ali and Jon Lovitz , two of the stars of NBC’s “The New Celebrity Apprentice” with new host, Arnold Schwarzenegger. Tune-in to hear behind-the-scenes stories about their various competitors on this current season of the show and what Arnold Schwarzenegger was like in the Board Room.